Is it too much to expect originality from a summer blockbuster these days? At this point in our era of poll-testing and demographics-driven production, we should accept this simple fact: no studio is going to spend $120 million, the cost of the new sci-fi blockbuster Oblivion, on an idea that has not already been demonstrated to make money. Oblivion, generic as it may seem, is actually seen as a risk just because it is not based on a property with an established fan base, like a comic book or a young adult novel. Still, there is nothing risky about the movie itself, which is derivative of almost every successful sci-fi movie of the last two decades. But here is the thing – our expectations for originality have been so lowered by summer blockbusters that Oblivion works, as long as you check your hopes for transcendence at the door. 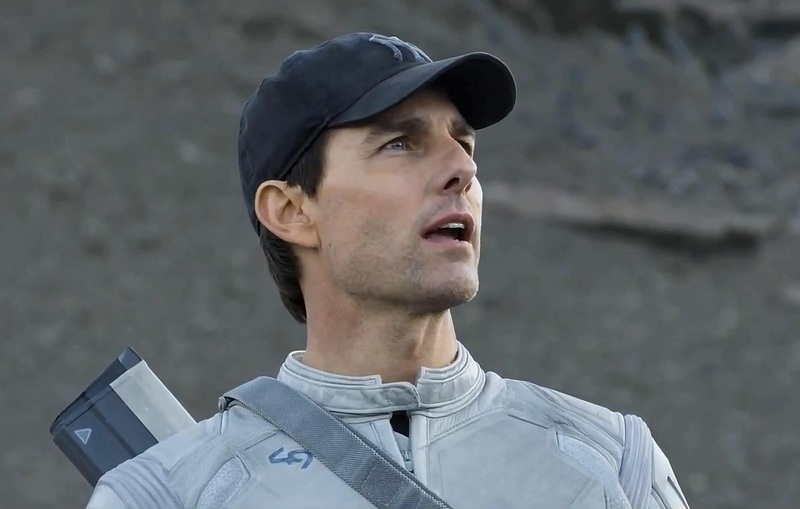 Tom Cruise plays Jack Harper, who deftly lays out he film’s reality in an opening voice-over. It’s the year 2077. Sixty years prior, aliens attacked Earth – we beat them back with nuclear weapons but decimated the planet in the process. Ruined landmarks like the Pentagon and an NFL stadium now pepper the landscape, which Harper flies over in his fighter jet, performing maintenance on drones who hunt down the last remaining aliens on the ground. In his spare time, Harper tries to grow flowers in the desolate land and hoards relics from the prior civilization. There is quite a bit of Wall-E in there, with Cruise playing the sentimental garbage man. Eventually, Harper comes into contact with a team of human rebels, led by Morgan Freeman, who is essentially playing Morpheus from The Matrix. The final action sequence alludes to Independence Day, and seeing Cruise behind the wheel of a fighter jet immediately recalls Top Gun. Lastly, one of the movie’s most significant plot points cribs directly from Duncan Jones’s underrated Moon. Despite this reliance on genre conventions, Oblivion is mostly fun – and occasionally thrilling – to watch. The film is so well made, it’s easy to forget how remarkably shallow it is. The traces of populism and pervasive fear of technology seem less inherent to the plot than shoehorned in to please modern demographics – but they do make the movie go down easy. Director Joseph Kosinski knows how to shoot an action sequence, and he is backed at every turn by the kind of pounding, pulsating musical score that populates many films these days (e.g. Inception, Prometheus) – and continues to work. And at the center of it all is that guy, Tom Cruise, who himself has always had something other-worldly about him. In his younger days, it just came off as arrogance or hubris, which the young, of course, wear well. But as he has aged – there is mercifully some gray stubble in his beard now – nothing much has changed behind his eyes. There seems not to have been many experiences in Cruise’s life, and when he is asked to play a real human being with a past, he often falls short. But in Oblivion, he makes a steadying, if mostly vapid, presence, and he’s actually quite enjoyable to watch. A more skilled actor could have probably done better, but Cruise is good enough. And after some second act developments that I won’t spoil here, his vapidity actually becomes an asset in the role. Although it is Cruise’s show here, he is surrounded by a talented cadre of actresses in largely underwritten roles. Olga Kurylenko (To the Wonder) is serviceable as the woman who haunts Harper’s dreams and eventually his reality. Andrea Riseborough, who wasn’t on my radar prior to this film, makes more of an impact as Harper’s enigmatic work partner. And Melissa Leo hams it up with a thick Southern accent as Harper’s contact back on the mothership who appears only via satellite. With an able cast, a strong director, and enough money to spring for some top-notch special effects, Oblivion easily fulfills its goals. Still, I can’t blame anyone who wants more from a movie of this ilk. The aim of science fiction used to be to provoke thought; now that it has merged with the Hollywood hit machine, it mostly shoots for spectacle. Oblivion offers a little bit more than that, although it is really just enough to remind us how good these movies used to be.